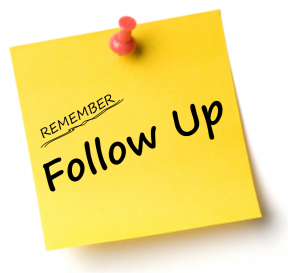 I find that Follow Up is the thing that is most forgotten when I am working with a client to find and implement the right marketing methods and yes, followup is a marketing method and like all other marketing methods you use it should have a plan! and the most resisted….Pick Up the phone and call them! Whatever ways you decide to use to followup, make a plan and use them regularly and I promise the results of this effort will pay off. This entry was posted in Marketing and tagged Followup, marketing, Sherry Simoes on September 5, 2017 by janet.